Following the War of 1812 Macon's Bill Number Two was one of a succession of economic retaliatory measures enacted in the years preceding the War of 1812. Determined to avoid war with Great Britain yet desirous of defending the nation's threatened neutrality rights, the Republican administrations of Thomas Jefferson and James Madison sought to alter the oppressive commercial restrictions imposed by both Great Britain and France after the Napoleonic Wars escalated again in 1803. The Republican-dominated Congress sought an alternative that would shift the burden of commercial retaliation from Americans to the British and the French. Much of the responsibility for fashioning a new policy fell to Nathaniel Macon, chairman of the House Foreign Relations Committee. 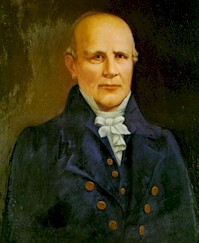 A North Carolina tobacco planter from Warren County and an old Jeffersonian, Macon was the acknowledged dean of his state's congressional delegation, having served on Capitol Hill since 1791 and as Speaker of the House of Representatives for the Seventh, Eighth, and Ninth Congresses. In April 1810 Macon reported a new measure out of his committee. The bill proposed reopening free commercial relations with Great Britain and France. However, it also provided that if one of the warring parties adopted a more favorable position toward the United States, Washington would immediately reimpose trade restrictions on the other country. Macon's Bill Number Two satisfied neither house, and efforts to strengthen it failed. Passed by a divided session on 1 May 1810, it marked the virtual abandonment of the Republicans' experiment with economic coercion. In September 1810 an opportunistic Napoleon revoked the Berlin and Milan Decrees, which had been objectionable to the United States. When Britain did not follow suit within three months, an embargo automatically went into effect against it in early 1811. This embargo ultimately persuaded Britain to lift its blockade of Europe in mid-June 1812, but the action came too late to prevent war. Delbert Harold Gilpatrick, Jeffersonian Democracy in North Carolina, 1789-1816 (1931). Ronald L. Hatzenbuehler and Robert L. Ivie, Congress Declares War: Rhetoric, Leadership, and Partisanship in the Early Republic (1983). Duppstadt, Andrew. "Nathaniel Macon and the War of 1812." North Carolina War of 1812 Bicentennial website. http://nc1812.ncdcr.gov/history_nathaniel_macon.htm (accessed October 11, 2012). Holmberg, Tom. "United States. Macon's Bill, Number 2. 1 May 1810." The Napoleon Series. http://www.napoleon-series.org/research/government/us/c_macon.html (accessed October 11, 2012). Gauley, Robert D. "Nathaniel Macon." 1911. Collection of U.S. House of Representatives. http://www.learnnc.org/lp/multimedia/11370. (accessed October 11, 2012).